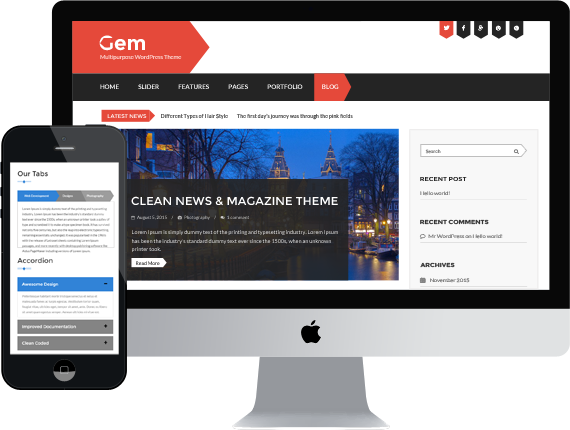 Gem is a premium WordPress Theme for your business. It’s clean, minimal, with modern style. This theme also come with ‘Flex Slider’ which allow you to manage each slider element by drag drop module. Gem you can manage each page easily by our awesome tool ‘Page Builder’. Moreover, with our customize panel, you can control any elements easily and you can change almost element elements colour via this panel!